Talita Nogueira, also known as “Treta”, is a Blackbelt and Brazilian Jiu Jitsu world champion. Being considered one of the best competitors in the women’s medium heavyweight division, Treta solidified her name at the top of women’s Jiu Jitsu with her win at the 2011 World Jiu Jitsu Championship. When and how did you start doing BJJ? Which is your team? I started training in 2005 in the team of Cicero Costha. I had already trained a bit of judo and some friends started to train MMA with José Helio. They invited me and I went. The trainer sent me to train Jiu Jitsu and I fell in love. In that moment I knew it was what I wanted to do in my life. I spent some time in RYAN GRACIE where I got the black belt under professor “Pitta” (Francisco Santana Jr). Nowdays I fight for Brotherhood Team of my friend Leandro Lo. That’s easy! I love it because it gives me the chance to meet incredible people and places. I make friendships that last forever. I travel the whole world doing something I love. The atmosphere inside the gym is sensational, we train hard, but when it’s over, we play and give lots of laughs! There is nothing better than doing what you love! Jiu Jitsu saved my life and today I have a wonderful life. And since when are you a proud mum? You are a mum, got a daughter at a very young age and still you got to be world champion. How did you do it? It seems impossible, right? It isn’t! I had the best people by my side supporting me from the beginning, my mother who unfortunately left us last year, she supported me, she took care of Luiza so that I could continue to pursuit my dreams. Today Luiza is already a big girl. She can take care of herself and she understands enough this life to respect that I have to travel and compete. Nowdays I get help from my best friends João, Gomes and Lais. They help me a lot with her. Also my sister and my boyfriend who are always present when I am travelling. On several occasions she had to go alone to work or fight in a championship because I was traveling but she’s starting to build her own story and she understands what it takes to. Did you train while you were pregnant? And how lng after giving birth you started again? I trained judo. I discovered that I was pregnant very late so I trained a lot of time while being pregnant. I returned to train after a year, when Luiza was born, I dedicated the first year only to her! 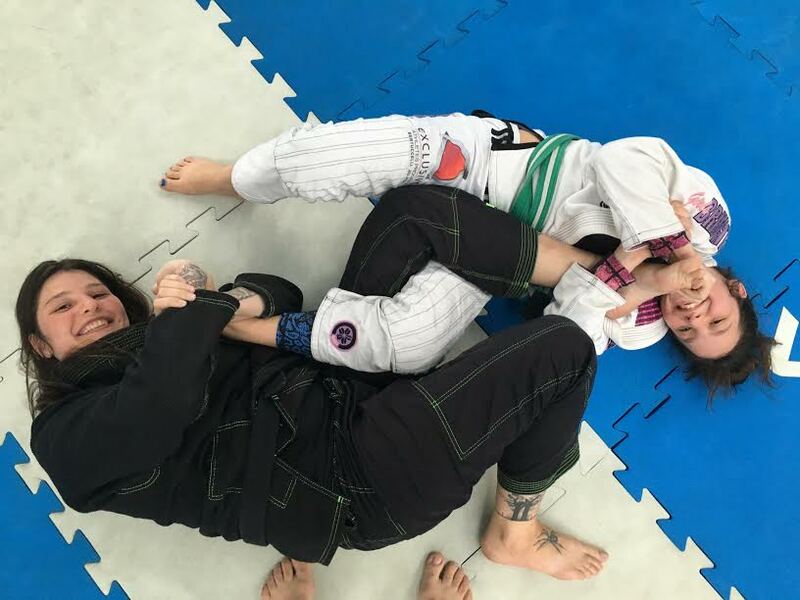 So your daughter also trained BJJ? She is great! She is very good and I am sure she is going to me make story in Jiu Jitsu if she decides to dedicate herself to it!! Now that she’s older we train a lot together! My friends love to help and train with her! It’s amazing. How do you feel when your daughter is competing? Do you get very excited? I get very nervous, my heart goes off! But at the same time is a huge joy! I love to see her train and compete! I’m her fan Nr. 1! There is nothing more rewarding than your child following in your footsteps! I am very proud of her! I train every day in the morning, afternoon and evening. This is my profession and my fun. Do you work as well or are a full time athlete? I have a Jiu Jitsu school with two students and friends here in Brazil in São Paulo. They help me a lot when I need to focus on some competition by pulling the training and taking care of our school, whenever I can I am there teaching and organizing. Which was your best result in BJJ so far? I think being a world champion! But every competition has its history and the moment we live! I follow a philosophy of life half different from many athletes. I’m not very ambitious for titles I worry more about the way to get them, how cool and good it will be the way and preparation until the competition! The rest is just a consequence. I just do it with love. What has been the most difficult thing you have done/decided so far as a mother? Formerly it was very difficult for me to be competing on the same day and in different places than Luiza. I felt bad and hence, I fought bad. It was a very difficult decision for me! 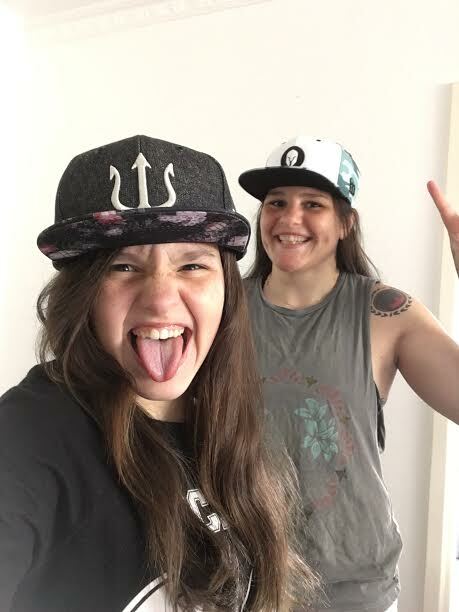 A while ago, I lived alone while Luiza was staying with my mother so that I could focus more on training and competition. This was really difficult I do not want to do this anymore. I prefer her here by my side !! Which are your coming future plans, next competition, seminars? I’m going to fight the Bellator on August 24th in New York. And in September, I’m going to Finland to fight the ADCC. This year is being incredible for me! I hope it continues like this! I am always giving many seminars and I intend to continue. Last but more important, what would you advice to the ther female athletes trying to combine motherhood and competition training? Do what your heart tells you, don’t be afraid to risk, time does not come back!! I know several girls who got pregnant and have kids and returned to training. Nothing is impossible. Try to surround you by wonderful people and everything will work out! Being a mother is wonderful, being a mother and being able to train is much more ! !